A long list of famous golfers have played on the Estoril Golf Course, including Ballesteros, Montgomerie, Sam Torrance, Canizares, Gene Sarazen, Peter Allis and Bernard Gallacher. Overlooking Estoril and the sea, this 5200-meter-long course is set amongst eucalyptus, mimosas and pine trees giving a uniquely colorful touch that demands excellent tactics, challenges in accuracy rather than distance. 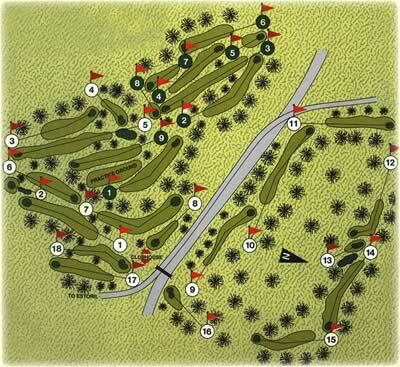 The visually stunning par 3 holes although they vary in length all pose particular challenges; the 4th hole. The Peppers Hole surrounded by pepper trees; the 8th hole The Tea Cup - is well known due to the always challenging flag position. The Estoril golf school is recognized due to the professionalism and competency of qualified PGA Golf Professionals. Besides individual golf lessons, clinics, weekly intensive programs and Greencard, the Academy also offers Digital Video Swing Analyses, Professional Club Fitting. Golf lessons and clinics are available all year-round in Portuguese, English and German. Caddies are among the most experienced - some of them have worked for many PGA players while competing in Portugal. Estoril is the only course in Portugal to propose this service, always available to advise on the most difficult shots and reveal some of the course secrets. Nor should we forget The Clubhouse of the Estoril Golf Club. After finishing your golf game, you can taste the delights of Portuguese cuisine, while you are overlooking the 18th hole and a spectacular view over the Atlantic Ocean. The outdoor pool is not too far. Finally, the 16th hole had its green redesigned, but it is still a par 3 with 186 metres, less 15 than the original one.